Guys, You Have To See Drew Arellano And Iya Villania's #10YearChallenge! It seems like everyone's been bitten by the #10YearChallenge bug, and celeb couple Drew Arellano and Iya Villania are no exception! The "10 Year Challenge" is a *new* trend where people upload throwback photos alongside their current ones. You can really see how much people have changed, and the challenge has actually taken on other forms such as #HowHardDidAgingHitYou! A few days ago, Drew posted two photos on Instagram: a magazine cover featuring him and Iya in 2005, and another—more mature—photo of them in 2015. SOOO ADORBS. 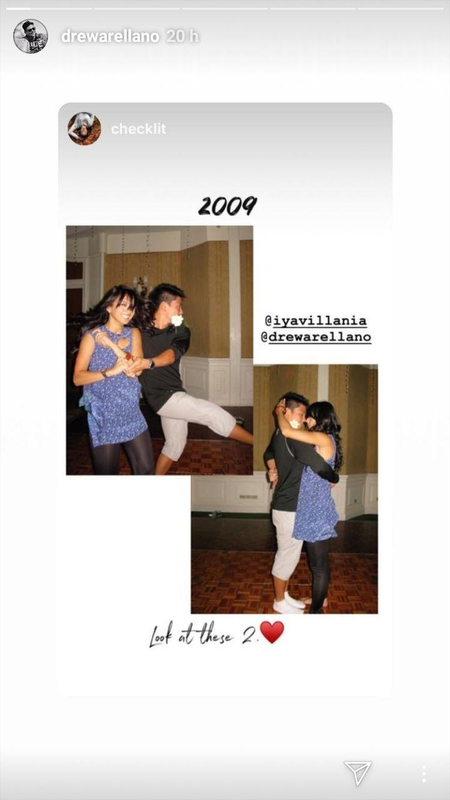 He also reposted this IG Story from a friend, which showed him and Iya dancing from 2009. We can't get over how cute they look (BTW, does Drew really have a white rose in his mouth???)! Thanks for ~blessing~ us with these photos, Drew!